This site was first built in French (see www.147thgeneration.net). The English translation was mainly obtained using « google translation ». The result of this translation has been corrected to avoid misinterpretation. However it can remain, do not hesitate to communicate them to us for correction. For the design of this website, I deduced that David’s psalms tell the story of the Jewish people, integrating the history of the Jewish people into the nations, from the death of Solomon to the present day. I was born in Tunisia, Jewish traditionalist like most Jews in Tunisia. I received a classical Jewish education by following the Talmud Torah courses a few years before my Bar Mitzvah. Why impose Judaism on my future children when I do not know much about the fundamentals of Judaism? Especially knowing that the fate reserved for Jews at all times. So I undertook a complete reading of the Jewish Bible, what Christians call the Old Testament. The discovery of the integral texts reinforced me in my faith (in the broad sense of the term). Graduate of « Centrale French School » , a French top-flight engineering school, I carried out scientific studies with a strong mathematical connotation, so I am of a fairly rational mind. Some passages in the Bible amazed me: Why, for example, does Genesis consider Jacob’s states of mind when he arrives in Egypt to join Joseph? My thinking has been refined and I have made a number of deviant assumptions from the traditional analysis of these passages. In mathematics, when one takes the opposite of an axiom (hypothesis of departure therefore not demonstrable), instead of deviating to the absurd one often builds a new mathematics full of promise. I think that was my case too. In working out my assumptions, I came to discover that David’s psalms were actually telling the Jewish story from the time of Solomon’s death to the present day. This precisely, a psalm for a generation. A generation: twenty years. What is included in this website is only a very lean excerpt of the result of the task undertaken nearly twenty years ago. After ten years of reflection, I started writing my global book in 1999 and I finished it in 2015. It’s both long and short. Long because it represents a work of nearly twenty years, short because if I had really wanted to analyze in depth all the psalms of David, it would have taken several lives. 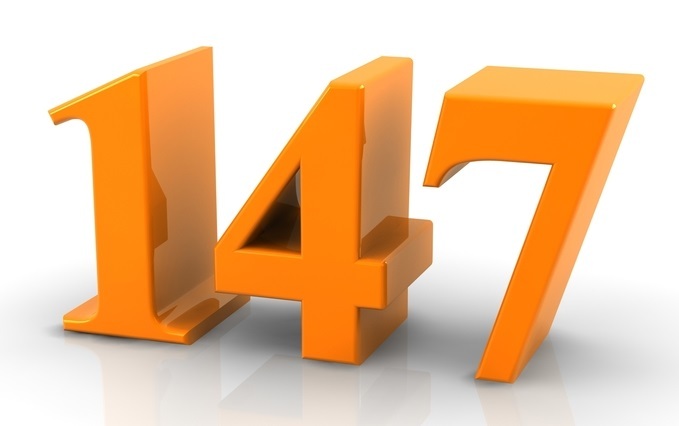 If Jacob complains about his life and dies at 147, his life is comparable to the 147 generations of curses of the Jewish people since the death of Solomon until the present generation. It is also the sum of the curses set forth in Leviticus, 49 curses, added to those of Deuteronomy, 98 curses. The Jewish people suffer 3 times 49 curses because it sin three times in the desert, repeated mistakes by the kings of Israel (Saul, David and Solomon). To these 147 generations of curses must succeed 3 generations of blessings, that is 150 generations in total. 150 is the number of psalms that David left us. The reason David has this vision of the future of his people is not explained on this site. And He rode on a cherub and did fly; He swooped on the wings of the wind. He made darkness His hiding-place about Him as His booth; the darkness of waters, thick clouds of the skies. From the brightness before Him, His thick cloud passed, hail and coals of fire. The Lord thundered from Heaven; and the Most High gave forth His voice with hail and coals of fire. You shall place them as a fiery furnace at the time of Your anger; may the Lord destroy them with His wrath and may fire consume them. You shall destroy their fruit from the earth and their seed from the sons of man. For he sees that wise men die, together a fool and a boorish man perish, and leave over their possessions to others. Hearken, My people, and I will speak, Israel, and I will admonish you; God, even your God am I.
I will not reprove you concerning your sacrifices, neither are your burnt offerings before Me constantly. I will not take from your household a bull, from your pens any goats. For all the beasts of the forest are Mine, the behemoth of the thousand mountains. I know all the fowl of the mountains, and the creeping things of the field are with Me. If I were hungry I would not tell you, for the world and its fullness are Mine. Will I eat the flesh of bulls or do I drink the blood of he-goats? And call to Me on a day of distress; I will rescue you and you will honor Me. He summoned an officer (superintendent who had full confidence), told him the story of the girl, and said: « I prefer the fulfillment of the oath of my grandfather to love for this girl. Take her away and kill her. » When the superintendent took her to kill her, the girl said to her, « I am pregnant with the king. » He sent for midwives, who were to make sure of it; they confirmed that she was pregnant. The officer had her transported to her house and had her locked up underground. Like a snail, which continuously melts, a mole [and a] stillbirth, which did not see the sun. Abu’l-‘Abbas, for his part, had ordered all members of Omayya’s family to be seized, old men, young men and children, in a place called Nahr-Tousi. When all were reunited, Saffhah had them massacred. Then he had a leather mat spread over the bodies, on which a meal was served to those who attended the scene, and who ate, while the victims groaned and died. Do to them as [to] Midian; as [to] Sisera, as [to] Jabin in the brook Kishon. They were destroyed in En-Dor; they were [as] dung on the ground. A prayer for a poor man when he enwraps himself and pours out his speech before the Lord. O Lord, hearken to my prayer, and may my cry come to You. Do not hide Your countenance from me; on the day of my distress extend Your ear to me; on the day I call, answer me quickly. For my days have ended in smoke, and as a hearth my bones are dried up. Great are the works of the Lord, available to all who desire them. Majesty and splendor are His work, and His righteousness endures forever. Woe is to me for I have sojourned in Meshech; I dwelt among the tents of Kedar. For a long time, my soul dwelt with those who hate peace. I am at peace, but when I speak, they [come] to [wage] war. Behold how good and how pleasant it is for brothers also to dwell together! For You created my reins, You covered me in my mother’s womb. I shall thank You for in an awesome, wondrous way I was fashioned; Your works are wondrous, and my soul knows it very well. My essence was not hidden from You, when I was made in secret, I was formed in the lowest parts of the earth. May a righteous man strike me with kindness and reprove me; may the oil of the anointment of my head not turn my head away, for as long as [I am] at my prayer, [it is] about their evils. Their judges were led astray by [their hearts of] stone, although they heard my words, which are pleasant. Answer me quickly, Lord; my spirit fails. Do not hide your face from me or I will be like those who go down to the pit. The above examples are just a sample of verses that are significant enough out of context. For each psalm I studied the historical and religious events that occurred during the generation it is supposed to tell, and I tried to associate each of the events with a passage from the psalm. On this website, each psalm is studied is paralleled with the events of the corresponding generation directly or indirectly related to the history of the Jewish people. Apparently there is a perfect correspondence of events with the text of the psalm of the corresponding generation. The probability that this correspondence is a coincidence is infinitesimal. Indeed, if we consider that a psalm has a chance of 2 to approximate the events of the generation concerned, there is a one in 1000 chance for ten psalms to match. Thus there is a chance on 1 Billion for 30 psalms to correspond and 1 chance on 1 trillion trillion trillion billion for the 150 psalms to correspond (1 chance on 1 trillion trillion trillion) 000 000 000 000).